After a handful of US based products came out last year that were smaller, we've finally starting to get items that are a bit larger and nicer. 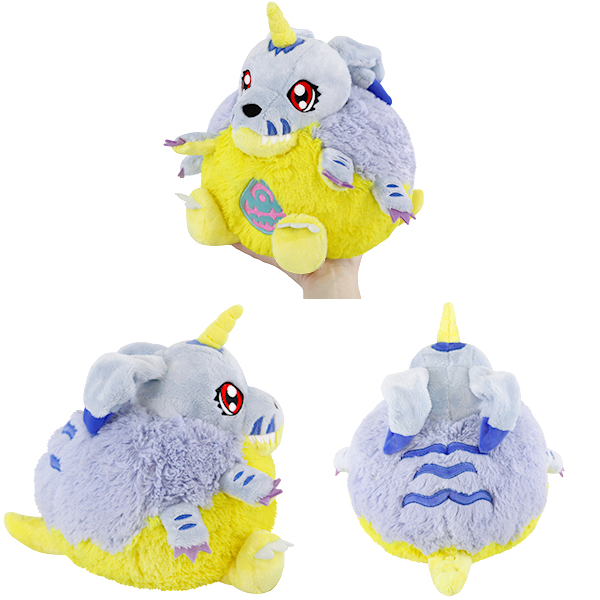 The first series of Digimon Mini Squishables includes 5 different Digimon and each are each roughly 7 inches. Each plush is $25 and limited to 2,500 being sold. Squishable sent me two to look over, so let's see how these plushies are. 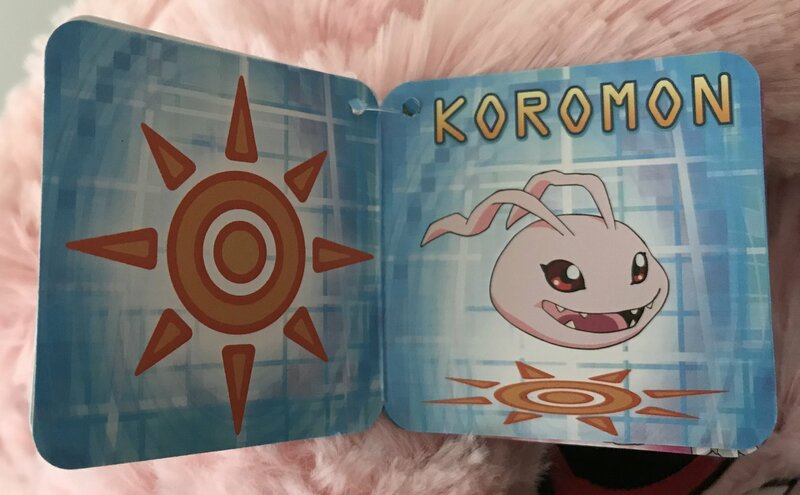 Koromon is probably one of the most obvious characters to make a plush of (to say nothing of most wanted.) Outside of the ears he is basically a slightly wide ball, which the plush represents well. Details like his eyes, mouth, and teeth show very well, and appear to be put on to a high degree of quality. 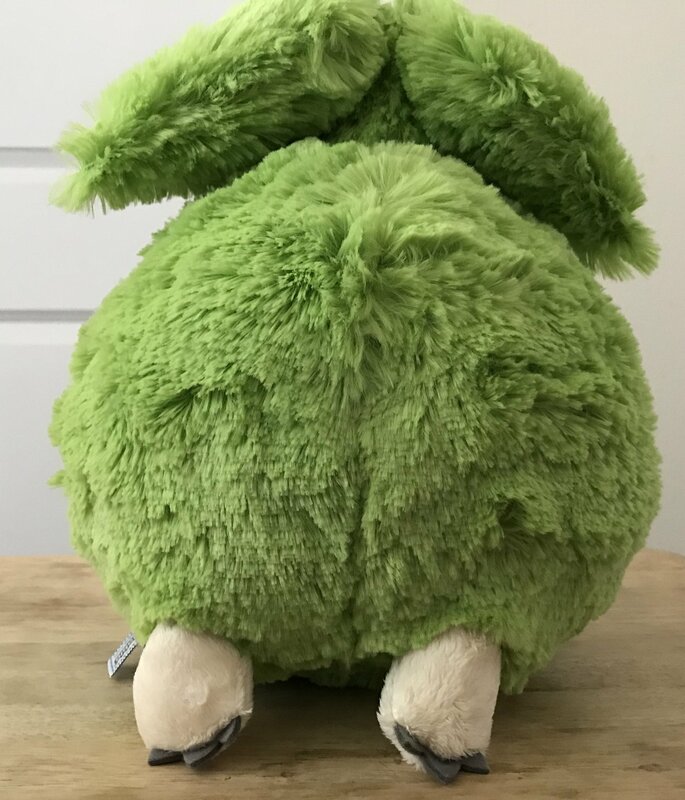 The plush material that makes up most of his body is insanely soft. While he has enough weight that he doesn't feel like he's floating, the material is so soft, it almost feels strange in the hand at first (nice, but strange.) The material is a strong light pink color in person, and he shimmers in the light slightly. I think this might be some clear fibers mixed in with the pink that catch the light in just the right way. 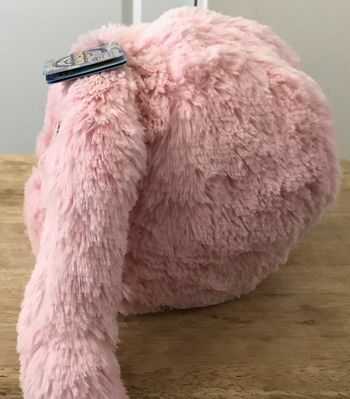 The material is woven into the plush around his mouth so that the mouth detailing can be seen properly, but this does create a bit of an odd visual effect since the rest of his body has the fibers more freestanding and just going wherever they want to go (generally based on where your hand last brushed them.) Koromon being a single color doesn't give an easy way around this, but overall it doesn't really ruin the look of the plush, it just creates a sort of... flat mustache around his mouth. 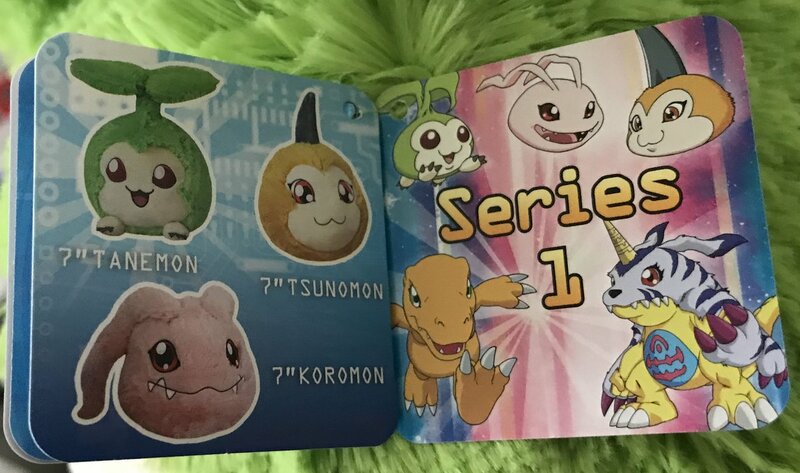 One area they did a great job is Koromon's ears. The ears have some decent length, and can move a surprising amount. It feels like their is a bit of soft joint-work being done on the ears, giving them a decent range, and they can bend around in various ways. 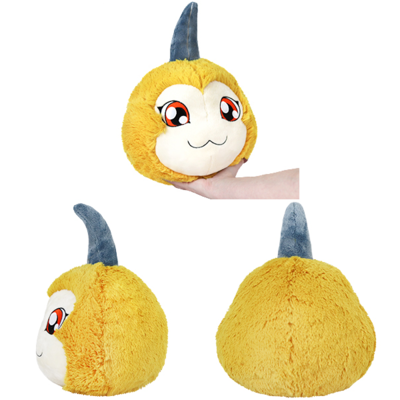 Koromon as a plush feels very nice, and looks quite good. 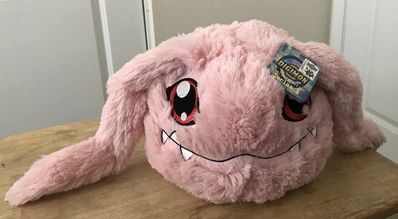 The material is arguably so plush and fluffy that it doesn't 'quite' look right for Koromon, but having something so fluffy is sort of the point of these. Tanemon is an interesting choice, especially for a series/wave 1. You'd expect to see Tanemon in a later wave, if at all. That fact doesn't make her unwelcome though. She has the same degree of quality of Koromon, but due to a few unique elements of her design, arguably comes out even better. Her eyes and mouth are done the same way as Koromon, with her mouth having a very nice pleasant looking smile on it. Her feet are short and stubbly, and look exactly how you'd like them to look. Her toes aren't quite soft, but aren't tough either. They tend to match the way you expect claws/toes/etc. 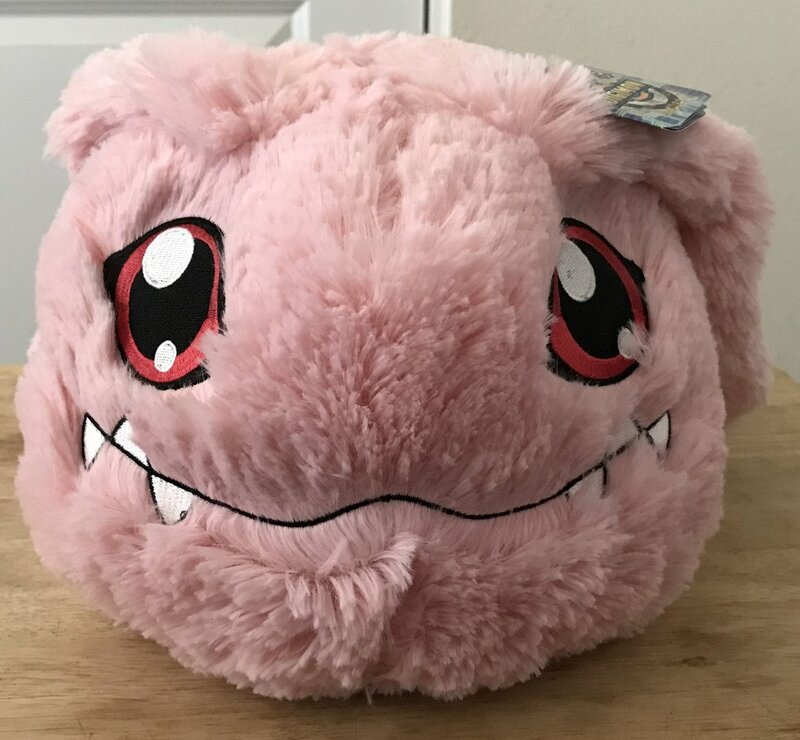 to be done on plushes like this. As seen in the photo above, her back feet point down to an odd degree. At first I thought the back feet might be on backwards, but I think this is more to give her just a bit of height so she doesn't roll back a bit. Tanemon also, of course, has her leaves on top of her head. 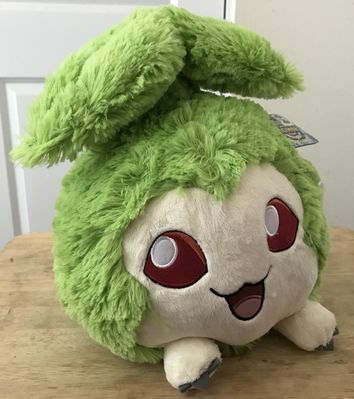 The center stalk is sturdy with some give, while the leaves are plush and a bit floppy. 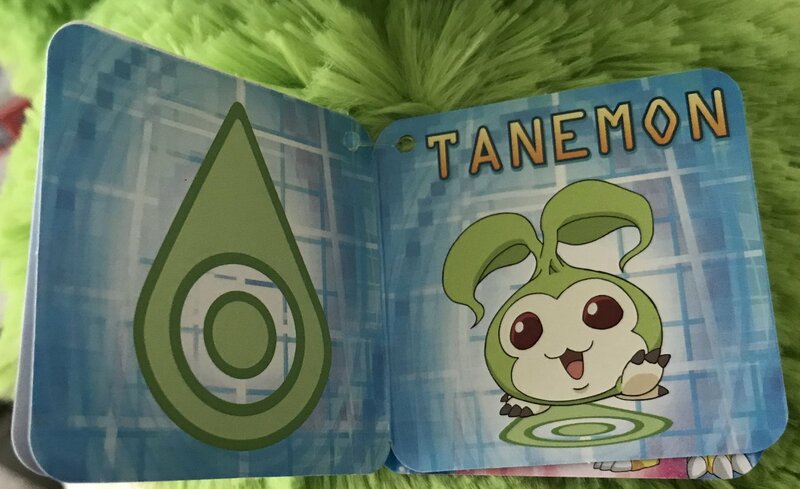 Tanemon seems like she may be even better than Koromon. The overall look and design works amazingly well, and the multiple materials really adds something. My Tanemon has a slight limp on one of her front legs, but I believe this is likely due to being mashed a bit during shipping. That Tanemon not only was used in Series 1, but came out great should make a lot of people happy, as it's a character who tends to not show up in products all that much. 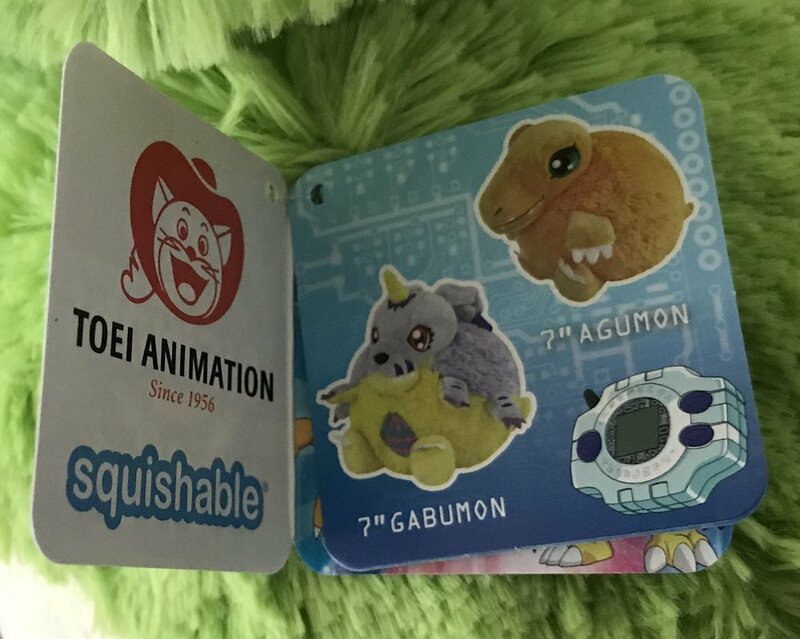 The plushes also include multipage hang tags. These have foil mentioning them being Limited Edition and Series 1. 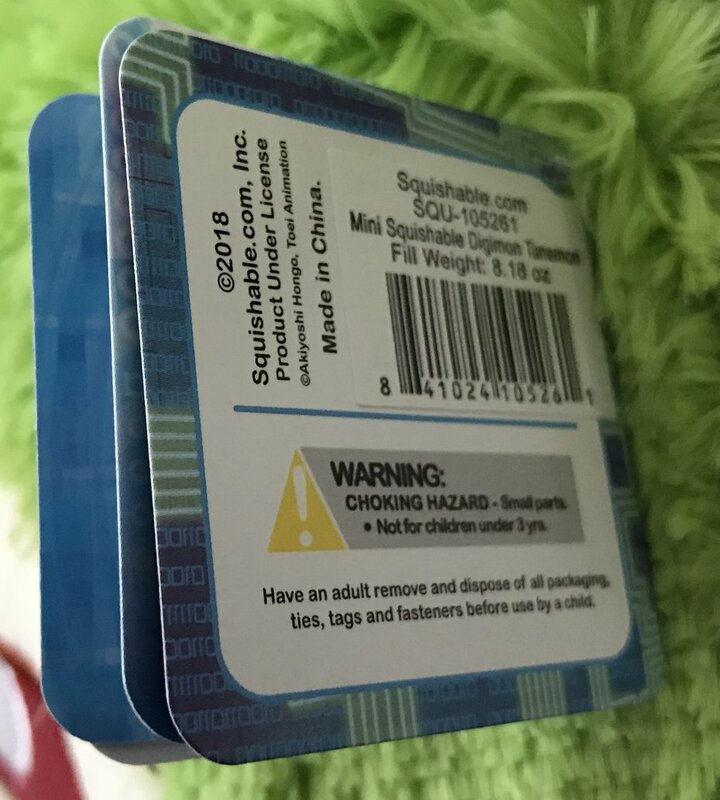 There is also a holographic sticker on it with a product code. 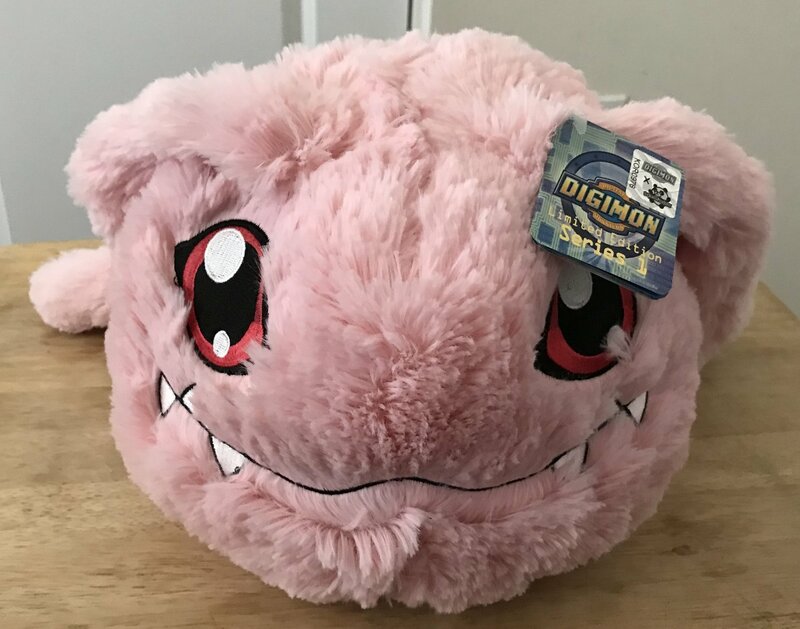 These appear to be a three digit name for the plush, along with which number plush you have out of the 2,500 available. 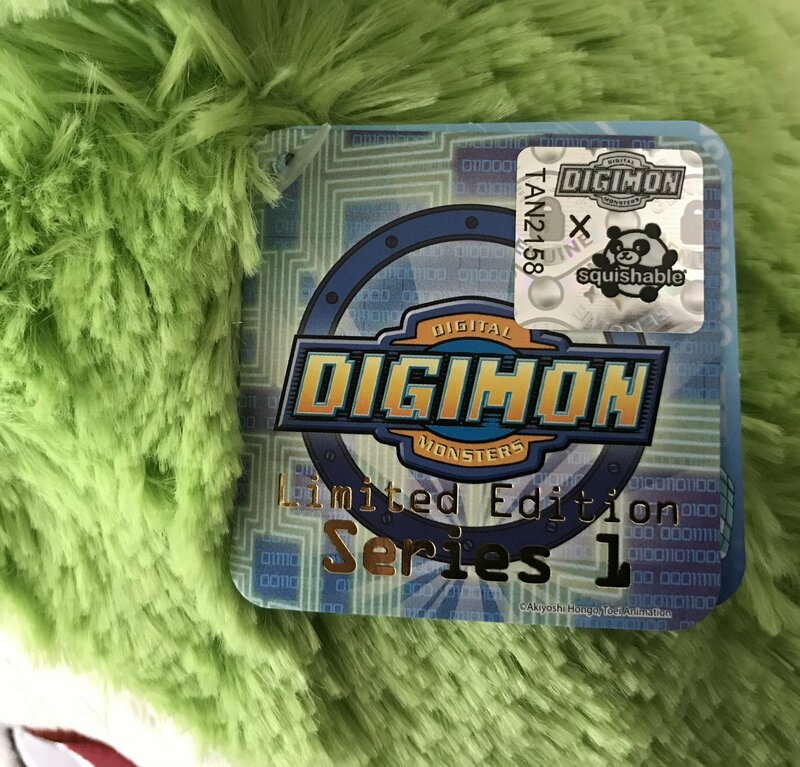 I took photos of the entire tag from Tanemon. Koromon I only took photos of parts different from Tanemon's. The tags overall act as a mini catalog for the plushes, with the center part being a nice spread showing off the character it comes with, along with the crest associated with them. Out of the five plushes available in Series 1, I got these two to look over, but of course there are three more. 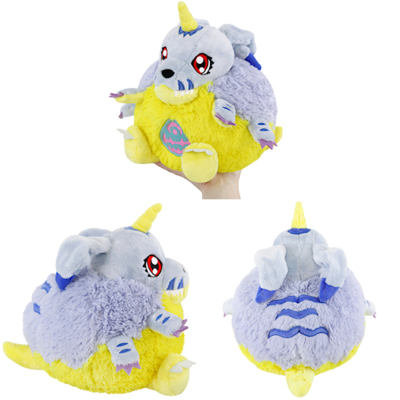 The other three include Tsunomon in the same style as Koromon and Tanemon, along with Agumon and Gabumon in a round body style. 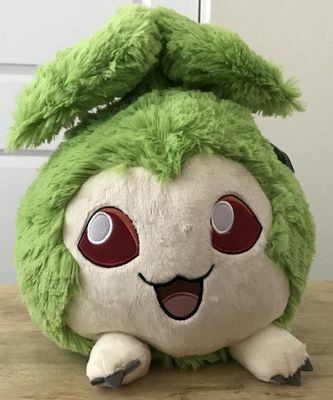 The plushes themselves are nice, soft, and a decent size (they aren't lifesize, but they feel close when you hold them.) They feel like a relatively premium product and are well priced at $25. The only real issue with them at that price is if you want all five it ends up being $125, so you'll likely have to choose which ones really mean something to you. They are indeed squishable, but they don't collapse like you might expect (when I first went to squeeze one I sort of expected it to just go woomph in my hands) as they really do feel substantial. Hopefully we get more of these, with some more unique and interesting choices (and perhaps some even larger ones.) 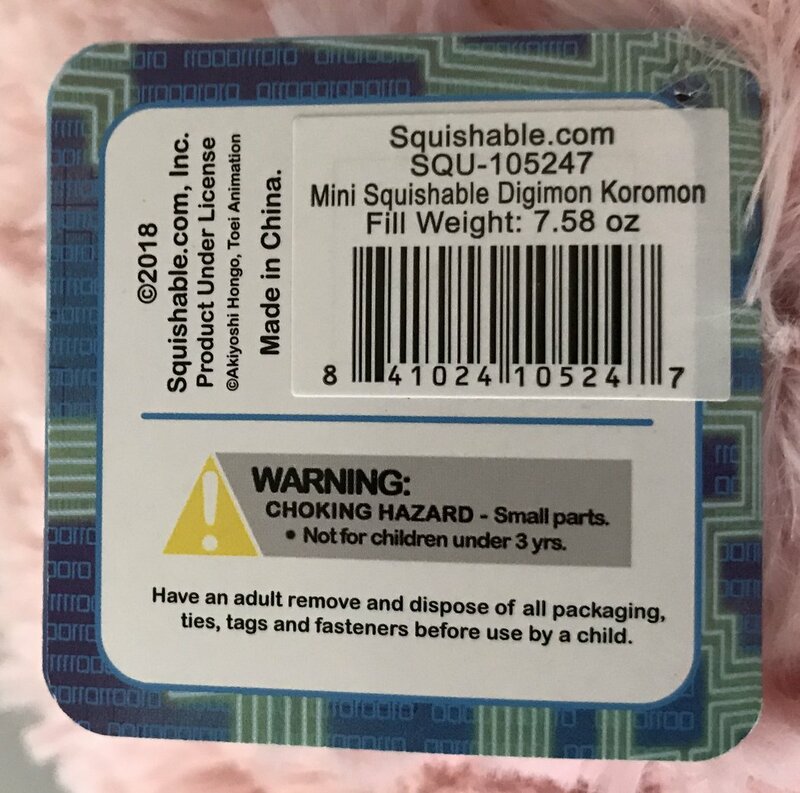 Considering it appears we knocked the Squishable store offline at one point due to how many people were showing up to buy them, that seems positive towards more coming out. 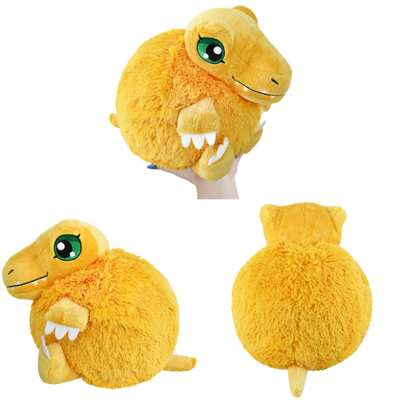 The first series of the Digimon Mini Squishables are still available at the Squishable store. 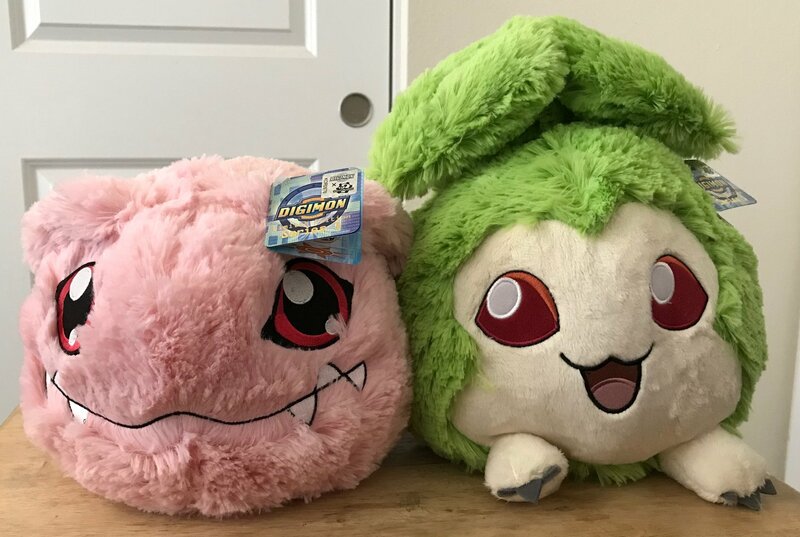 Thanks to Squishable for sending us these two plushes to look over. 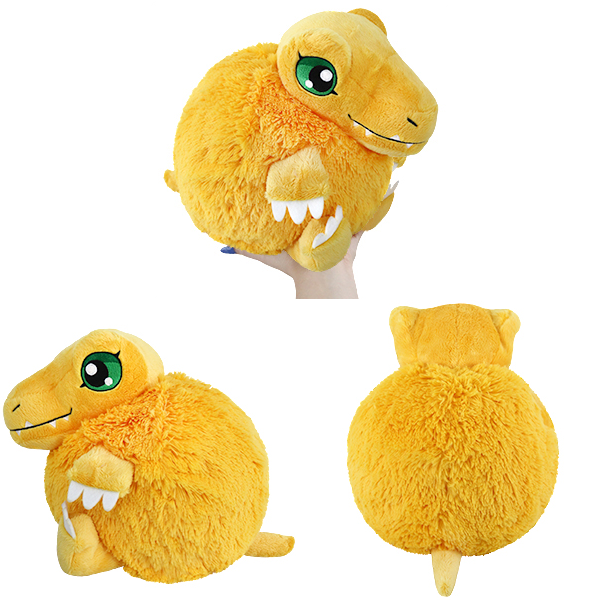 We're also giving away a Digimon Squishable at the moment right here. Images are hosted on our gallery and embedded on the forum, so let us know if anything is acting up. Photos were taken by me using an iPhone 7 Plus. Photos were taken with the default camera application using whatever natural light was floating into the room at the time. Images were cropped and reduced in resolution to roughly 50%. Final images were JPG compressed. I can't judge how squishy they are unless you post 500 selfies of you squishing them Marc. They do look good though and that's actually a really good price. 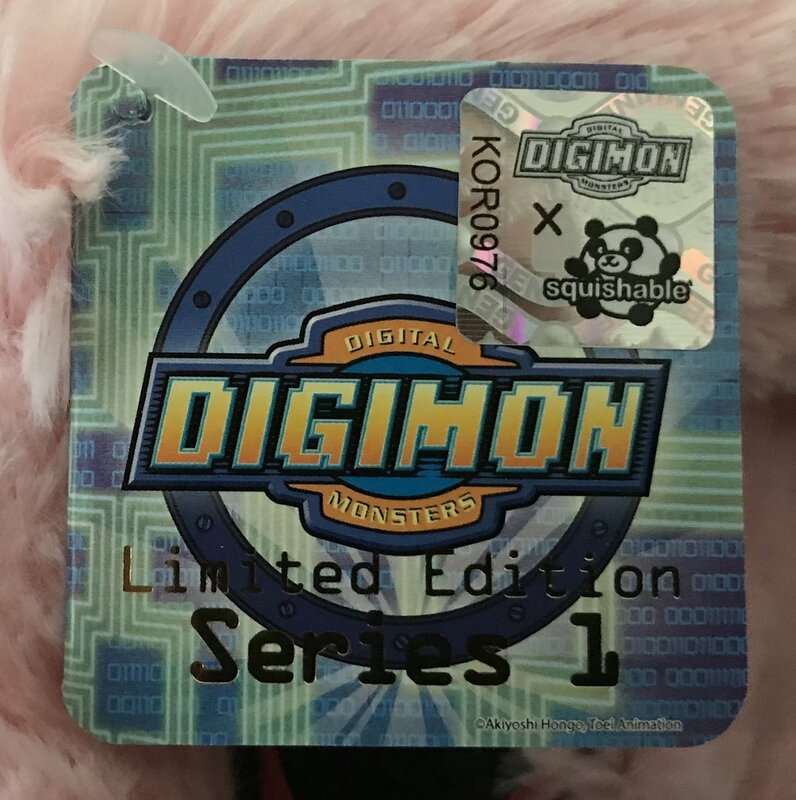 I prob wouldn't get one for myself but they sure would be a good gift for a Digi-loving girl who you are trying to impress. Then again if I saw one in a shop and it was cheap, I'd for sure wind up getting one. Prob. Well, the final thoughts there really tell us all we need to know huh. heh heh Thanks. 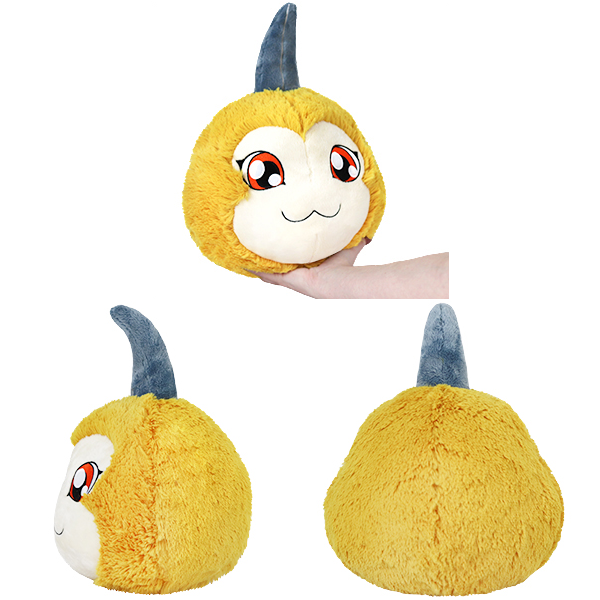 Tsunomon's looks really nice but it looks like its looking down? Well that's a perfect explanation on why we should get them. Thanks Cooper. By request, some footage of the squishiness. Digimon fangirl (especially of Tamers and Tri) ~ Projects in the works: Sora (Digimon Tri) cosplay, Meicoomon plushie.